Infectious mononucleosis (mono), also called the kissing disease is a common illness that leaves one feeling tired and weak for weeks or months. The virus (Epstein-Barr) that causes mononucleosis is usually transmitted through saliva, so one can get it through kissing and also if he or she is exposed through a cough or sneeze or by sharing a glass or food utensils with someone who has mono. You can help prevent mono from spreading to others by not kissing them, and avoiding sharing food, dishes, glasses and utensils until your fever has subsided or even longer, if possible. 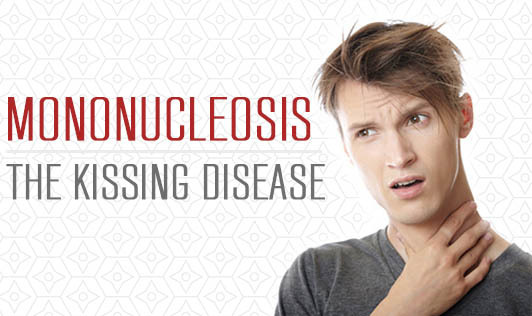 If you've been experiencing symptoms of mononucleosis and you're unable to manage your symptoms, contact your doctor!